All across the globe, organizations are facing increased pressure to enhance the sustainability of their processes and practices. However, traditionally, there has been little governance and clarification in regard to what the standards companies should be aiming for actually are. In turn, it has made achieving optimized levels of sustainability not only more complicated for individual businesses, but also a bit nuanced, disorganized and unbalanced across industries as a whole. But it seems this may soon change. The International Organization for Standardization, better known as ISO, has announced that is will be setting a new standard, ISO 20400, titled "Sustainable Procurement," which will give companies guidance for how to best incorporate sustainability into procurement processes. This will be the first international standard of its kind. According to the agency, the framework is currently in its second phase of drafting and ISO will be open to receiving feedback on how to improve it before it releases the final version next year. The underlying driver and benefit of this initiative is to establish a more sustainable way for organizations to conduct purchasing-related activity. The news report noted that the specific committee that will be responsible for developing this guidance is ISO/PC 277. "For many organizations, sustainable procurement is already featured in their sustainability reports, yet there is a distinct lack of clear guidelines on how to implement and measure sustainable procurement practices," ISO/PC 277 Chair Jacques Schramm stated. "Using ISO 20400 will therefore help organizations achieve their sustainability objectives, improve management of supplier relations, improve the sustainability efforts of their supply chain and give them a competitive edge." 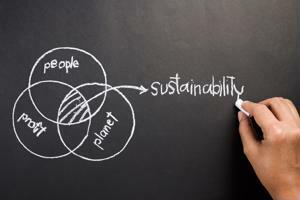 Environmental Leader recently reported that Sustainable Purchasing Leadership Council, a nonprofit group, will be creating a Sustainable Purchasing Benchmarking System that will be developed in a complementary, consistent and parallel way to ISO 20400. The source also added that the goal of this system is to also make it easier and more efficient for companies to identify opportunities for adopting sustainable procurement practices.